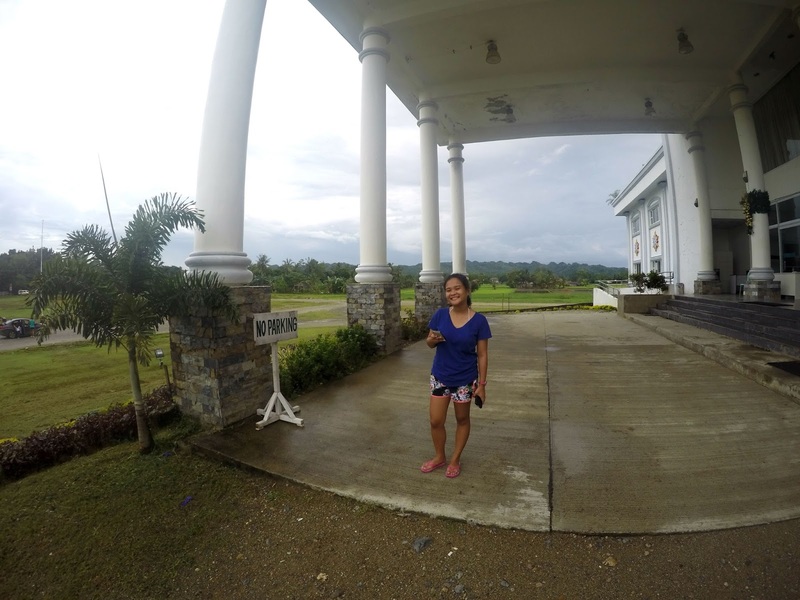 One of the romantic getaways we had was when we decided to head to the north and discover all by our selves the beauty of Sipalay City, Negros Occidental. This was very challenging for us since it was our first time to go on a long road trip together. Travel time was approximately 4-5 hours but for my boyfriend, it was almost 7 hours since he is from Bais City and he has to travel an hour and a half going to Dumaguete City. So here is my boyfriend, prepping up for our trip. We bought coffee and some food to munch for our first ever road trip together. We were supposed to leave before 6 am but because we woke up a little bit late and I have to visit my grandfather’s grave before leaving, we left Dumaguete around 7:30 am already. The Negros Island is shaped like a sock and Sipalay is located at the heel part of the sock. Actually, we just realized it when we were using the Google Map as our guide. Anyway, here is a short trivia. Sipalay got its name from the old native phrase “si palay” which means “there is rice”. As you enter, you’ll notice rice abundantly growing in the area or you can call it “palayan” in bisaya. Our first destination was the Tinagong Dagat Island Resort. Tinagong Dagat means “The Hidden Sea” and it was known for its foot bridges that connect the islets together. It was my goal to take a similar photo like one above but I was already hungry and my mood was about to change into a hungry monster. So, I would like to credit Dumaguete Advisor for this fantastic photo. We had our lunch in the resort and it was very pricey for a tinola with one slice of fish in it, a fried chicken and an avocado shake. But for me it was slightly okay because the place was very beautiful because you don’t get to see it everyday. Our next stop was supposed to be the Sugar Beach and it took us almost an hour to look for this Sugar Beach. Google Map wasn’t giving us the accurate road way and we’ve already asked the locals but even them wasn’t familiar of the place. Until we found ourselves in this side of Sipalay. We were told that we have to ride a pump boat in order to reach the Sugar Beach. However, we didn’t have sufficient time because we already booked ourselves at Artistic Diving Resort. To make our search somewhat worth it, we spent few minutes walking by the sea shore and took selfies as if we were in the Sugar Beach. Haha. We also dropped by their City Hall or also known as the New Government Center to somehow compensate the feelings of dismay about our search for the Sugar Beach. The weather wasn’t cooperating as well because it drizzled and the clouds were gray. But what would you expect, we traveled during the wet season. Actually this trip was already a week delay from our planned date because there was a typhoon in the month of November. Our last destination for the day was the famous Perth Paradise. When you google Sipalay City, it is the Perth Paradise you’ll first see on the top photos. However, it wasn’t told that the road going to the resort was very bumpy and I think it was pretty impossible for a rented pedicab to pass swiftly on the bumpy road. I hope the owner of the resort would do something about this because the road was like a small rocky hill. The entrance fee was 180 pesos and you have to pay another 100 for the pool. We arrived at around 5 pm and their pool closes at 6 pm. We only had an hour to enjoy the place. We didn’t checked in at Perth because the rooms were a bit pricey for us and the place was pretty isolated. It think it is perfect for those coupled who wanted to have a relaxing staycation. The view? It was majestic. It’s like small chocolate hills scattered around the sea. It was relaxing and was worth it even though the clouds where grey. We were hoping to witness sunset like what we’ve read in the travel blogs. Well, don’t expect too much in the pool because it wasn’t as wide as you can imagine through pictures. After the very long exhausting day, we checked in at Artistic Diving Resort which is approximately 15 minutes away from the center of Sipalay. I suggest that you should buy food, medicine and etcetera beforehand because stores are already close at 8 PM and I bet you don’t want to spend on pricey meals in the resort’s restaurant. It rained cats and dogs at night and there was even a power shot down for a few minutes. Good thing the resort was prepared they had umbrellas and candle lights available for the guest. We ordered vegetable curry, beef and pizza for dinner. Despite the heavy rain, we still took a quick dip in their pool. The following day is also the same day that we’ll go back to Dumaguete City. We were hoping that this time, the weather will cooperate with us. Sipalay adventure won’t be complete if you don’t go island hopping and snorkeling. So we woke up early, ate our breakfast and prepped up for the next agenda. We rented a boat from the Artistic Diving Resort for only 600 pesos for two hours. They said two hours is enough for the whole trip because the islands are just 15 minutes away from each other. And we heard that other boats costs around 800-1000 pesos. Next stop was the Camponanes Bay where you can enjoy the sand and the seawater. Because on the side where Artistic Diving Resort was located, it wasn’t ideal for swimming. And the last part of the tour was their Marine Sanctuary, where you can go snorkeling with the fishes. I tell you, this is way way different from the snorkeling we had in Balicasag Island, Panglao, Bohol. There are a lot of different kind of fishes underneath the water. I cannot name them all but they are all beautiful. It would be better if I knew how to swim. Haha. I know I am not the only sea lover who doesn’t know how to swim. I guess not all mermaids are gifted with fins and tails. We finished the whole tour within two hours and what I enjoyed most was that snorkeling because it was worth a penny. Moreover, the view during the trip was breathtaking with all the green and the cliffs you get to see side by side. Before we head back to the south and bid goodbye to Sipalay, we first suffice our stomach with chicken inasal and rice. Because it was another 4-5 hour ride back to Dumaguete City. Whenever me and my boyfriend discuss about the trips we had, the Sipalay Adventure was his favorite (so far). He definitely loved the view in Perth Paradise because it was extraordinary. The tourist spots where amazing but if you are someone who doesn’t have an own vehicle, I think it would be difficult for you to reach the destinations. The time travel from one place to another was 15-30 minutes and all of them are a little bit far from the Sipalay proper. I heard that tricycle drivers are pricing the tourists a bit high on one way travel. And there are no available karinderyas or cheap restaurants nearby the beach resorts. So it is very important to have extra food in your bag in case you’ll be caught up with hunger.